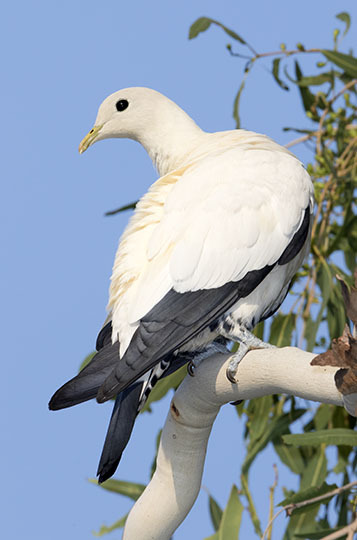 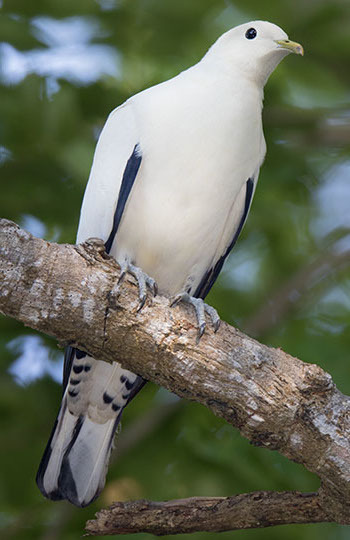 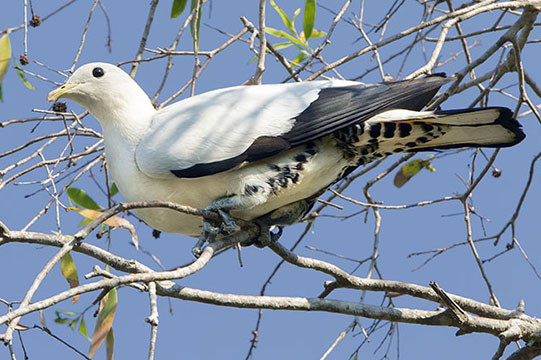 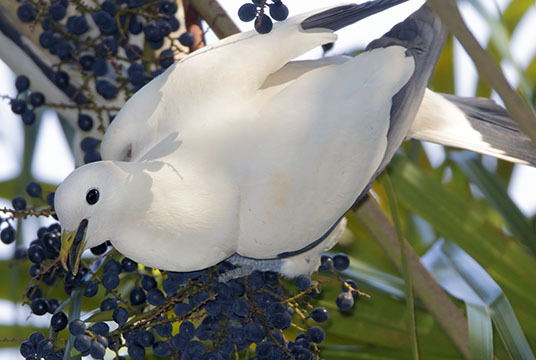 Torresian imperial pigeons (sometimes called pied imperial pigeons) are large, spectacular tropical pigeons found in northern Australia, New Guinea, and nearby islands. 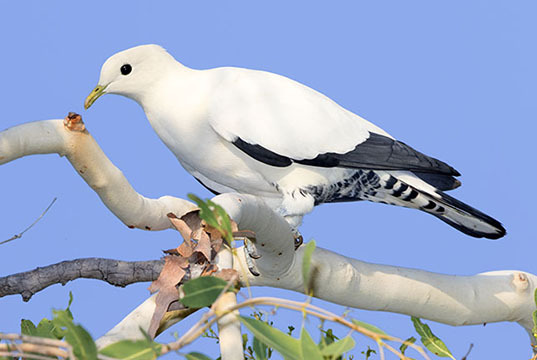 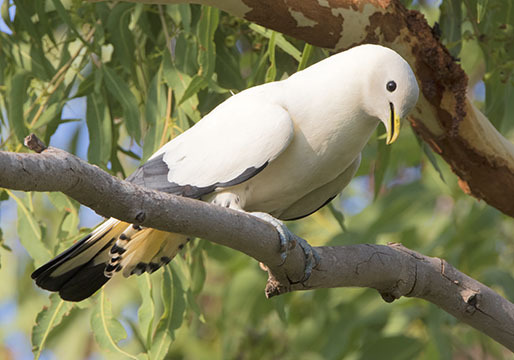 They migrate to Australia to nest and are very common in lowland rainforest and mangroves; these were photographed in Darwin in the Northern Territory. 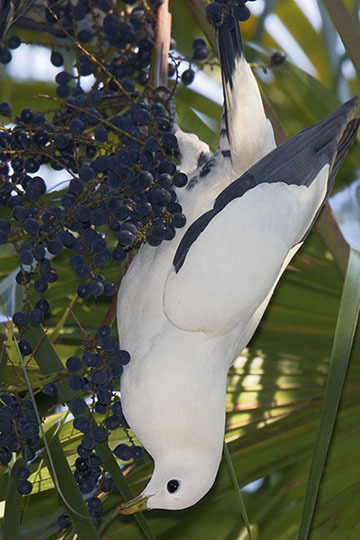 Some were feeding on palm fruits in the city Botanical Garden.